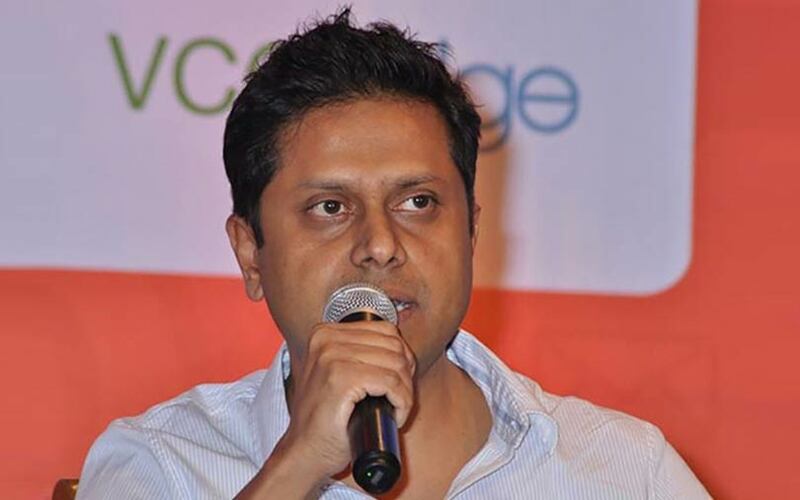 Health and fitness startup CureFit, which is led by Myntra co-founder Mukesh Bansal and former Flipkart executive Ankit Nagori, has raised $120 million (around Rs 825 crore at current exchange rates) in a Series C round of funding. In a statement, the company said that existing investors IDG Ventures, Accel Partners and Kalaari Capital had led the investment. Chiratae Ventures, which is one of the three domestic funds for which IDG Ventures acts as an advisor, also participated in the round. Sudhir Sethi is the founder-chairman of both IDG and Chiratae. Oaktree Capital, whose portfolio company Fitness First India is in the process of being merged with CureFit’s fitness brand Cult.fit, also contributed to the round. This marks the second-largest Series C round of any Indian company till date, only behind the $200 million that ad-tech unicorn InMobi had raised from SoftBank in 2011. CureFit said that it would primarily use the fresh capital for ramping up its technology platform, brand building and for geographical expansion of its four flagship products: Cult.fit, Eat.Fit, Mind.Fit and Care.fit. The latest round of funding means CureFit has raised $170 million (Rs 1167.30 crore) in all since being launched in 2016. In its last major funding round in August last year, the firm raised $25 million (Rs 160 crore) in a Series B round from Accel Partners, IDG Ventures, Kalaari Capital and UC-RNT Fund, among others. CureFit’s most recent publicly-known funding round took place in May this year, when it raised about Rs 4.18 crore (about $611,121) from Flipkart co-founder Binny Bansal and Myntra-Jabong chief executive Ananth Narayanan. The firm formally launched its mobile app cure.fit in May last year. Its flagship offering Cult.fit essentially runs offline centres that offer equipment-less workout solutions, including strength and conditioning, spinning, boxing, mixed martial arts, zumba and yoga. Currently operational in Bengaluru, Delhi-NCR and Hyderabad (its most recent centre), Cure.fit claims to have more than one lakh active subscribers across its various offerings. CureFit has over 75 Cult.fit and Mind.Fit centres and aims to grow this base to over 500 centres in next three years. Eat.fit is currently servicing over 10,000 meals a day and claims to be doubling this number every three months. In March this year, co-founder Bansal told TechCircle that CureFit’s monthly revenue run rate had touched $1 million, with revenue doubling every six months. CureFit has also acquired a few businesses as part of its expansion strategy, including a1000yoga and Kristys Kitchen. This rapid expansion was reflected in CureFit’s financials for the first full financial year since it started operations. The firm posted net sales of Rs 3 crore in the financial year 2016-17, but its losses were six times that amount. It recorded losses of Rs 17.98 crore in 2016-17 as its expenditure stood at Rs 21.87 crore. Several ventures in the broader healthcare and health-tech space have raised funding in the recent past. Last week, TechCircle had reported that US-based VC firm RoundGlass Partners was doubling down on its investment in Gympik.com, an online marketplace for discovering fitness centres and gyms. Earlier this month, home diagnostics services provider 5th Vital raised $500,000 (Rs 3.42 crore) from Brand Capital and a clutch of high net worth individuals (HNIs). In April, FMCG major Marico Ltd agreed to acquire up to 22.5% stake in the parent of fitness and holistic wellness platform Revofit in a cash deal.